Want to enjoy more tremendous bass from music and gaming effects? 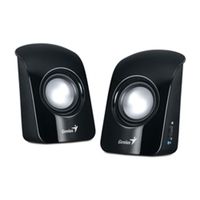 Then try these new gaming speakers, SW-G2.1 3000, from the Genius GX gaming series. SW-G2.1 3000 uses 3-in. 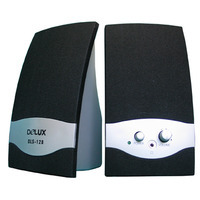 metal cones for vivid and vibrant middle and high sound in the curvaceous satellite speakers. 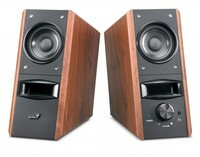 The subwoofer uses a 6.5inch driver unit with a reflex port in a wooden cabinet, so you can experience heavy, heart-beating bass in a frequency as low as 35Hz. The individual control box makes it easy to adjust the volume and bass. There is also a microphone jack on the control box for chatting with on-line game partners. SW-G2.1 3000 has a 3.5mm standard input for PC game and MP3/CD players, and two RCA jacks for game consoles, DVD players and TV’s. It also has a headphone jack for private listening. 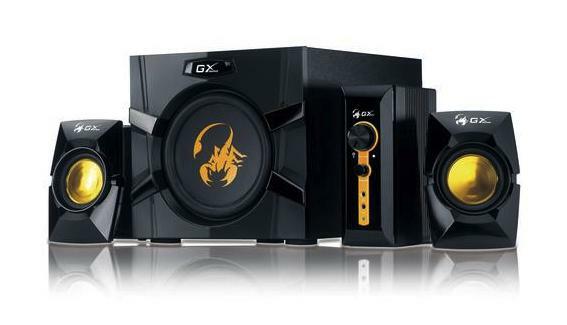 SW-G2.1 3000 is customized for the game enthusiast, just turn on it and be encompassed by shocking bass.